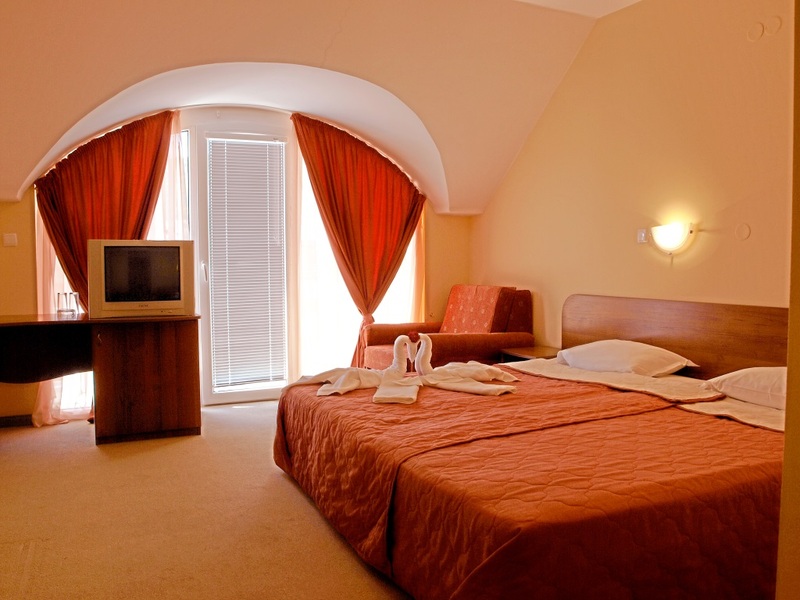 We offer you 33 spacious double rooms and 3 apartments with a view at the beach or the mountain. All rooms are equipped with an air-conditioner, wardrobe, a safe, mini-bar, sat. TV, telephone, free Wi-Fi and a balcony. Portable beds are also available. The apartments have 2 separate rooms and are equipped with a kitchenette and second balcony. The bathrooms are roomy and have a shower cabin with a toilet and big vanity with a blow-dryer. The rooms are cleaned thorough daily and at the visitor’s request towels are exchanged every day. All kids up to the age of 2 stay and enjoy all the amenities for free. We also offer free parking for our guests. First child from 2 to 12.99 years on extra bed – free of charge, second child on extra Lego pay 50% of legloto. Base price for 1 room for 1 day and includes breakfast, insurance fee and tourist tax, a well Safe, Air conditioning, TV, mini – bar, Internet, pool.All prices are in Bulgarian leva!